SSE wind turning S, cloudy with rainshowers. Playback on various warblers (Garden-, Grasshopper-, Reed- and Aquatic Warbler) had little effect because there was rain during the night and very few arriving migrants. Netmeter hours approx. 4600. Ringed: Green Sandpiper 2, Eurasian Wryneck 1, Tree Pipit 5, Meadow Pipit 1, Redwing 1, European Robin 1, Northern Wheatear 1, Grasshopper Warbler 1, Reed Warbler 1, Sedge Warbler 1, Garden Warbler 2, Blackcap 1, Common Whitethroat 1, Willow Warbler 2, Pied Flycatcher 1, Common Linnet 1. Total = 24. 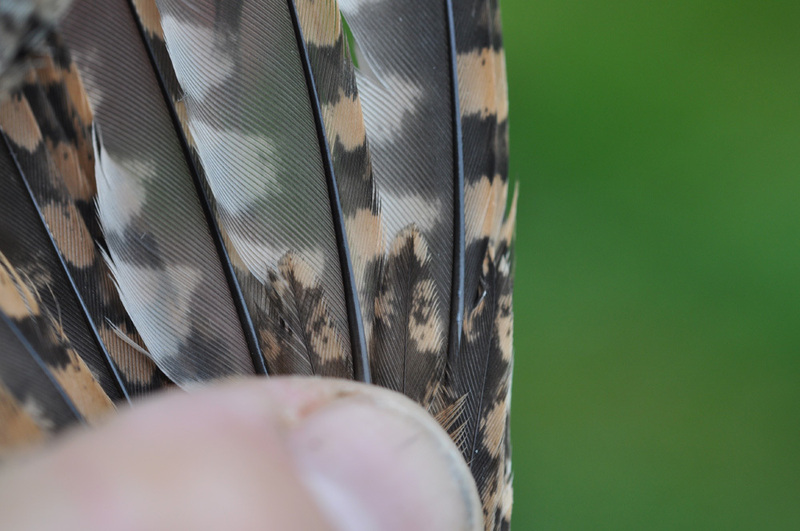 Wrynecks are aged by looking at the pattern in the tips of the primary coverts. Light buff inverted "V" with pale on both outer and inner web is typical of 1cy birds. IK vendehals, aldersbestemt på mønsteret i spissen av hånddekkerne. Ringmerket: Skogsnipe 2, vendehals 1, trepiplerke 5, heipiplerke 1, rødvingetrost 1, Rødstrupe 1, steinskvett 1, gresshoppesanger 1, rørsanger 1, sivsanger 1, hagesanger 2, munk 1, tornsanger 1, løvsanger 2, svarthvit fluesnapper 1, tornirisk 1. Total = 24. 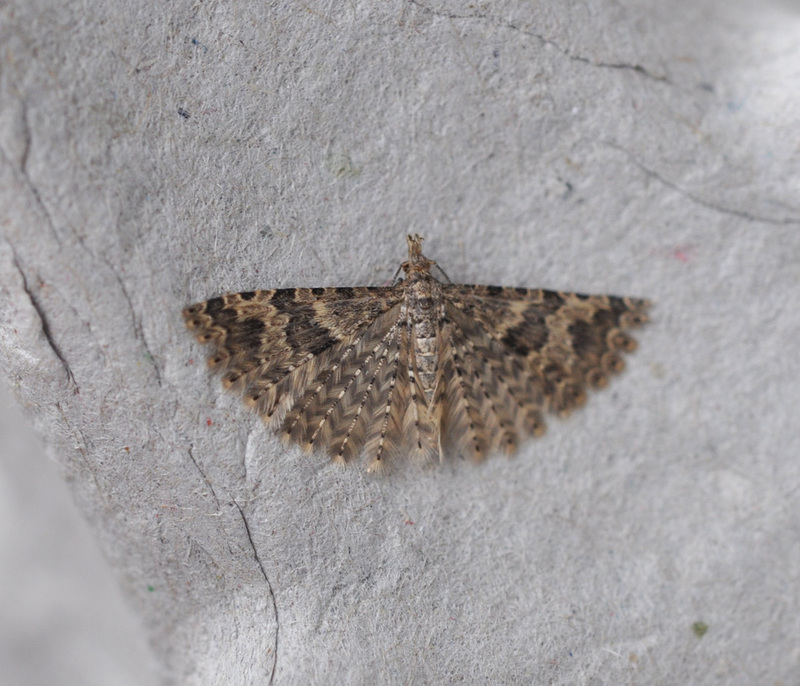 Many-plumed Moth (Alucita hexadactyla) was a new species for Revtangen in an otherwise poor catch in the Robinson-traps. Kaprifolfingermøll, ny for Revtangen OS.